One of the things that sets Northwest Automotive apart from other shops is our amazing inspection program. 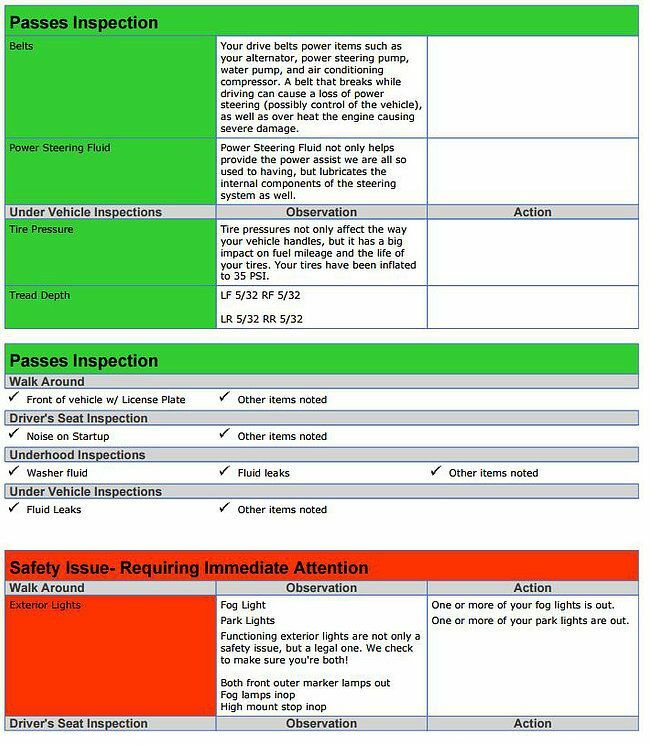 Our Courtesy Inspection (performed at no charge) allows us to cover many of the safety and maintenance features of your vehicle. 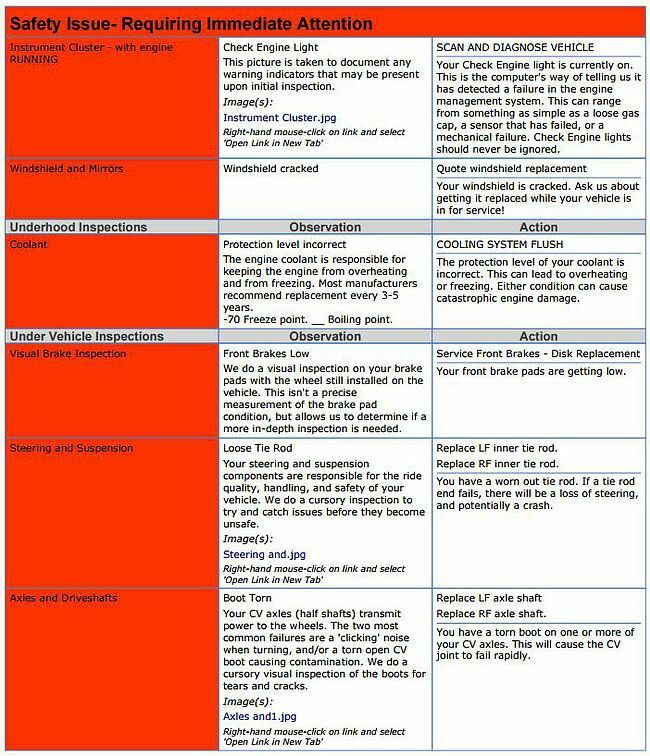 While this inspection does not take the place of traditional diagnostic tests, it does allow our technicians to perform a visual inspection of various parts of the vehicle in a hope of catching minor problems before they can become major repairs. 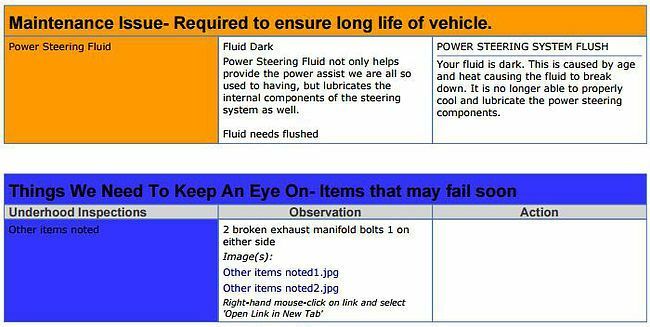 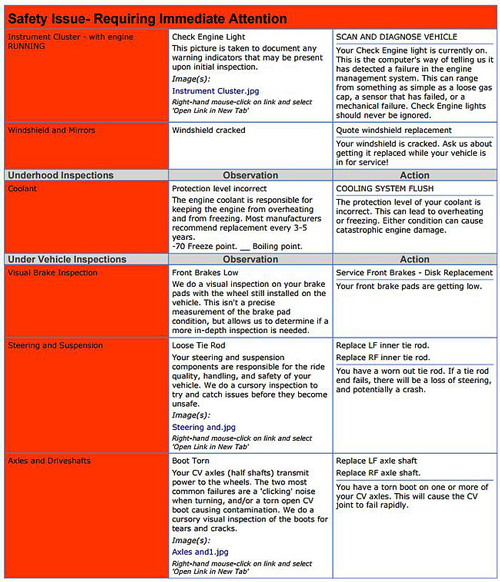 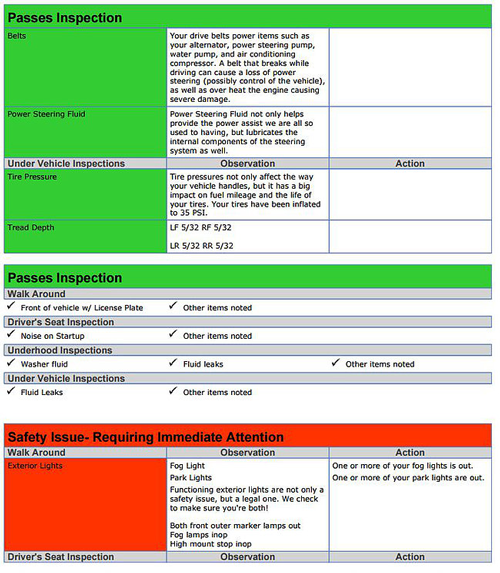 See a sample of an inspection report, and how informative it can be for you and your vehicle! 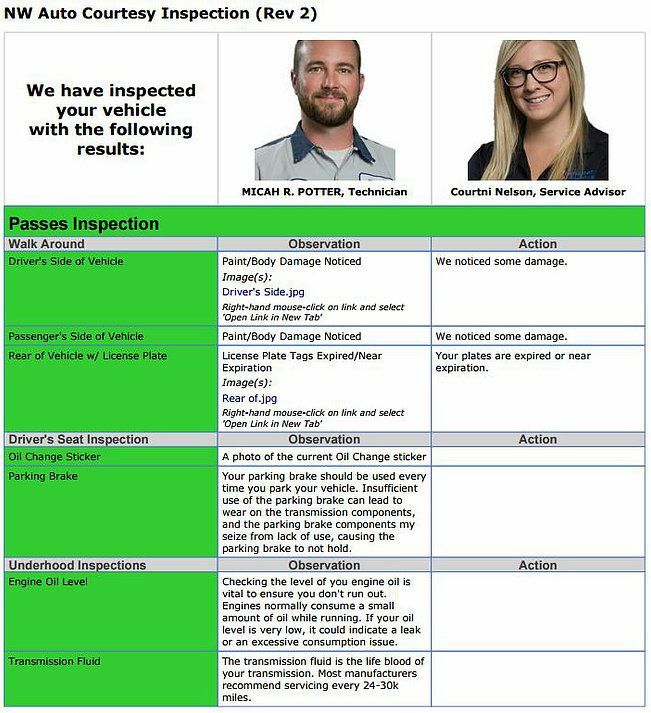 Our Courtesy Inspection is performed any time its been more than 30 days since we last saw your vehicle.